"Yo it's me on this wall! Haha I didn't expect that. I was walking down the street and I saw my face on this wall and wanted to take a photo of it. Yeah share your photo with me. He totally just spray-painted my face on this wall!" "I really enjoy working the desk at the Maryland Historical Society here. I enjoy being able to look at all the exhibits here and welcome people from all over and share parts of Baltimore's history with them." 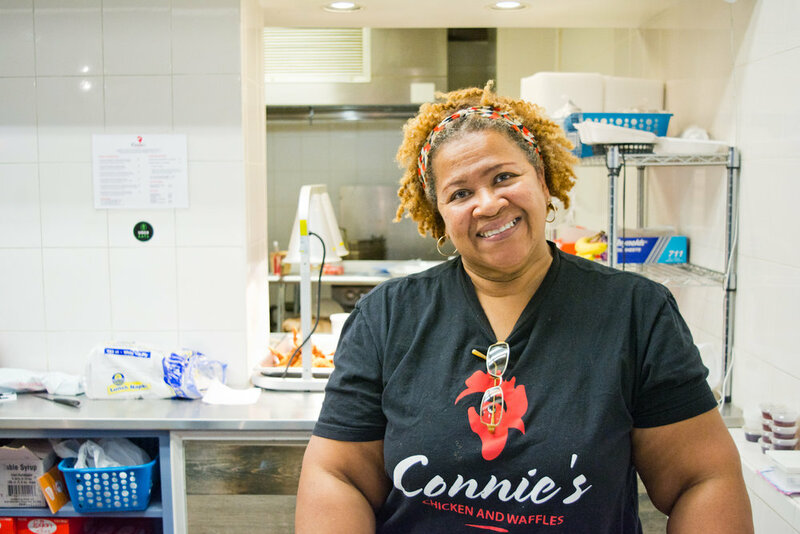 "I'm Connie and I'm having a great day at Connie's Chicken and Waffles here in Downtown Baltimore at Lexington Market." "My day is going okay. Working on Black Friday and I have a crank in my neck but I'm happy to be alive in this company of people." "There's a lot of stressors happening my in my life right now like college and financial aid. But in here right now, because we were published in the City Paper and being here at the opening ceremony of the Baltimore Beat makes it all worth it. Besides our pieces in City Paper, we interviewed Chimamanda Adichie in the first issue of Baltimore Beat on page 26 and it's just really nice to be here with people who appreciate the community. 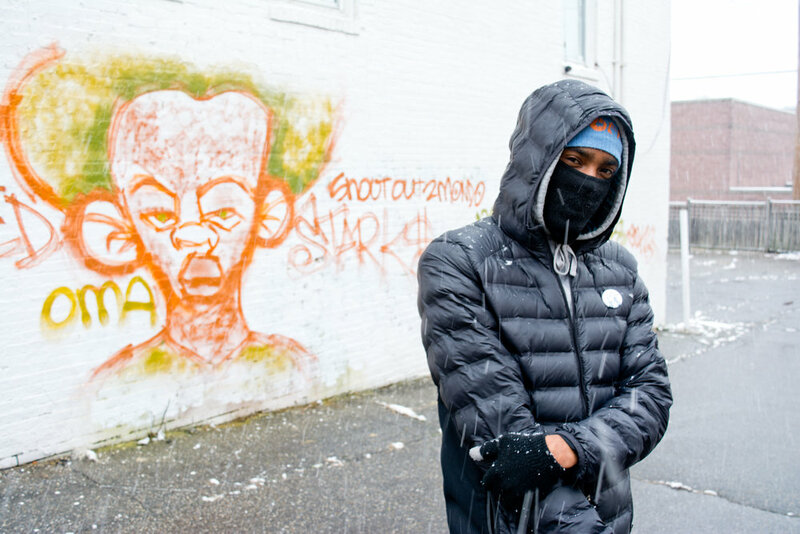 And we're just two high school seniors who love to write and impact Baltimore." "Working hard. Yo B, come over here. You gonna tell him about it Frank? Damn, I ain't telling him the story. he caught me being nice." Alright we got a meatball sub here. Yeah I usually come here. 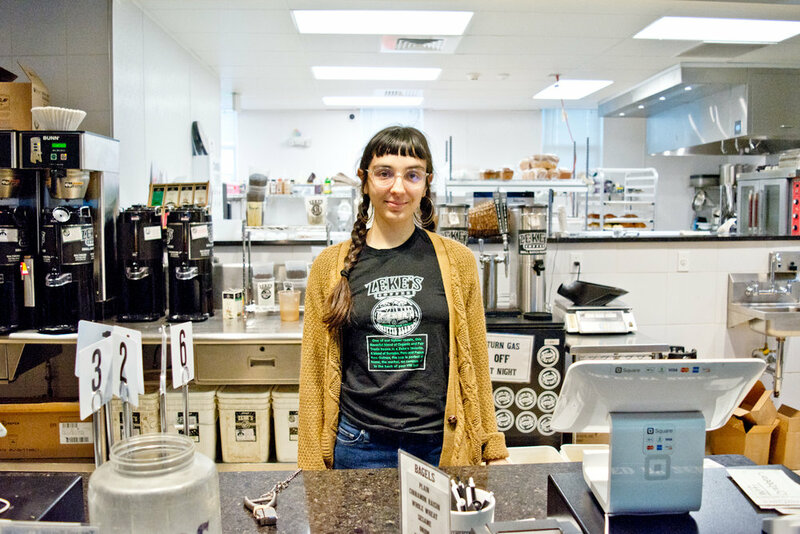 There's a lot more to Baltimore than just Charles Street." "If I could wear this everyday I would. I have been here since the beginning in The Nevermore Haunt; it's my baby I mean it's all our babies but it's definitely something that I wanna do which is event planning." "Don't pose us! Let me be candid, like this photo of me stoking the fire! So we woke up this morning and we live in southwest Baltimore near Hollins Market and we loaded up the van and stopped by the store to get things for the festival and then we came out here. It's such a perfect Saturday and only in Baltimore can you come to a festival like this and see all of the people you meet and all old friends. 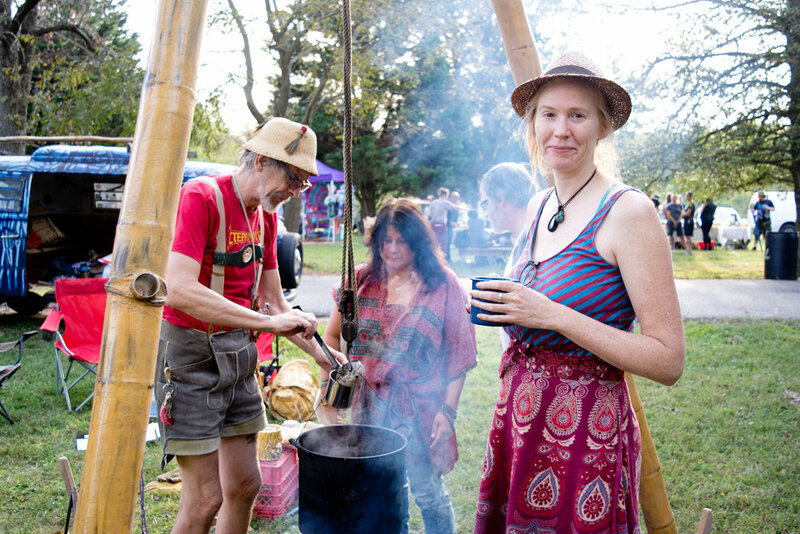 It's so much easier to form community here than in other places." "Girls' day out! We going to the movies, to the malls, to get our nails done, and to get McDonalds."